In Thailand, durian is the King of Fruit, but in my world, jackfruit reigns supreme. 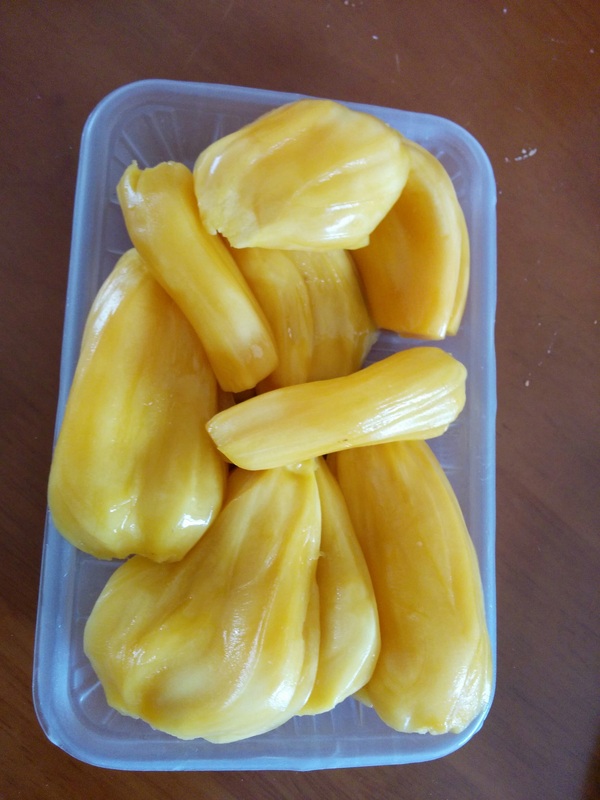 I had never even heard of jackfruit before moving overseas. Even after moving to Asia, it took me a while to try it. I think I avoided it (probably thinking it was durian) until jackfruit “petals” were on a breakfast buffet at a conference I attended in Thailand. Then I was hooked! But, let’s talk about the most infamous of differences: durian has earned its right to be banned in elevators and subways. It stinks! 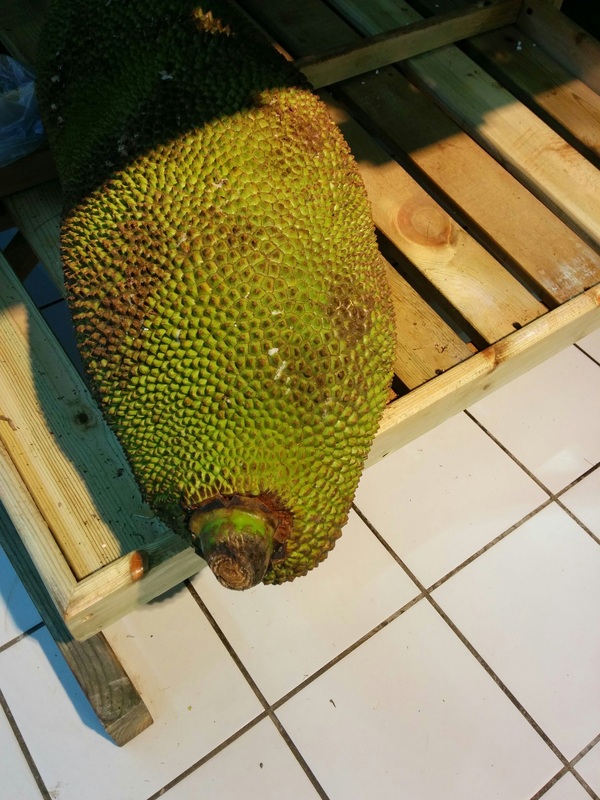 Jackfruit has a pretty strong scent, too, but it’s not offensive enough to be booted from enclosed spaces. Vendors will cut up the fruit different ways (because ain’t nobody gonna carry that whole thing home – it’s the largest fruit in the world). Sometimes they just break it into big chunks that include the rind. Some will remove the edible fruit sections from the rind, take out the seeds, and sell the fruit in neat little trays. The taste is something in the neighborhood of a banana, but the texture is much firmer. The trick is eating it before it gets overripe, when it turns mushy and sickly sweet. You want it to be firm—almost crisp—and pleasantly sweet. NPR ran a story that a university in India was promoting jackfruit as an ideal crop to provide a nutritious source of food in areas facing food insecurity. I think that sounds like a delicious solution! So I made the largest vat of jackfruit curry the other day for a wedding with the neighborhood. Do you guys cook it savory over there in the Middle Kingdom? You should. But it is delicious fresh too. Our island is known for its durian and it is the biggest community thing. Open up a durian and folks come running. They love it. After almost 8 years, I can stand it.